Adaptation to one’s environment requires an appropriate attitude. But due to changing circumstances, no one attitude is permanently suitable. 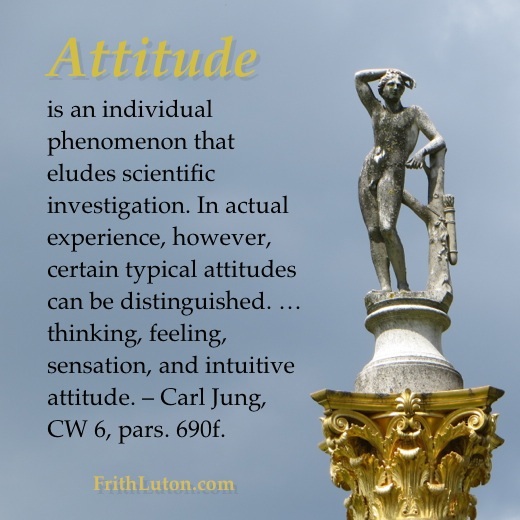 When a particular attitude is no longer appropriate, whether to internal or external reality, the stage is set for psychological difficulties (e.g., an outbreak of neurosis).